Savoury and tart – perfect with cured meats, pâté and cheese. Preserves are our way of storing up the bounty of the fruit harvest to enjoy all winter long. Homemade preserves are always a welcome gift, no matter what the celebration. Essentially, chop, cook and bottle. But there are savoury preserves too. You would be right to think it a little strange that all that sugar in the fruit could turn into something more savoury than sweet, but it does. Savoury preserves are the perfect accompaniment for cured meats, pâtés or cheeses. All you really need for a wonderful Holiday evening is some fresh, crusty baguettes. And some wine. Don’t forget the wine. Preserves include a wide range of kitchen products like jams, jellies, and marmalades. The word refers to the act of “putting up” fruits in cooked spreads where they can be shelved for long periods of time. In essence, preserving the fruit for later. 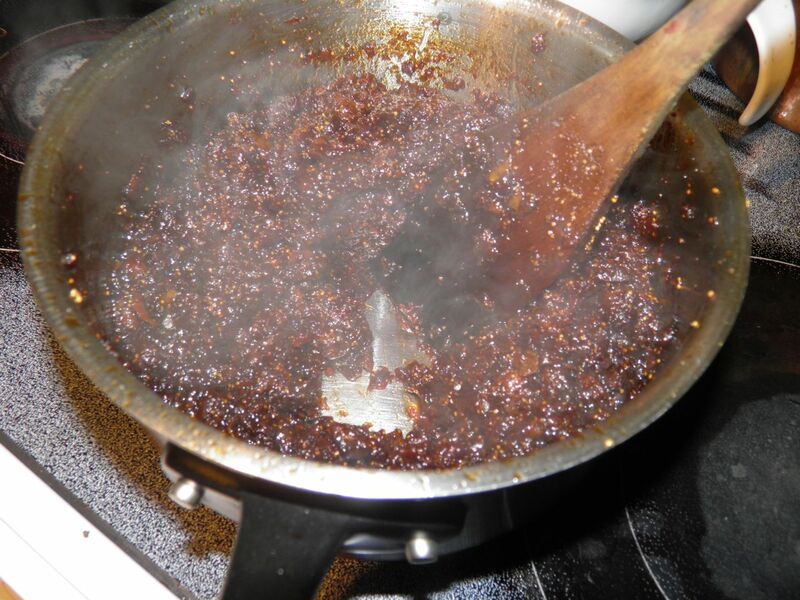 Some preserve recipes may contain seeds and/or skin, depending on the cook’s preference. 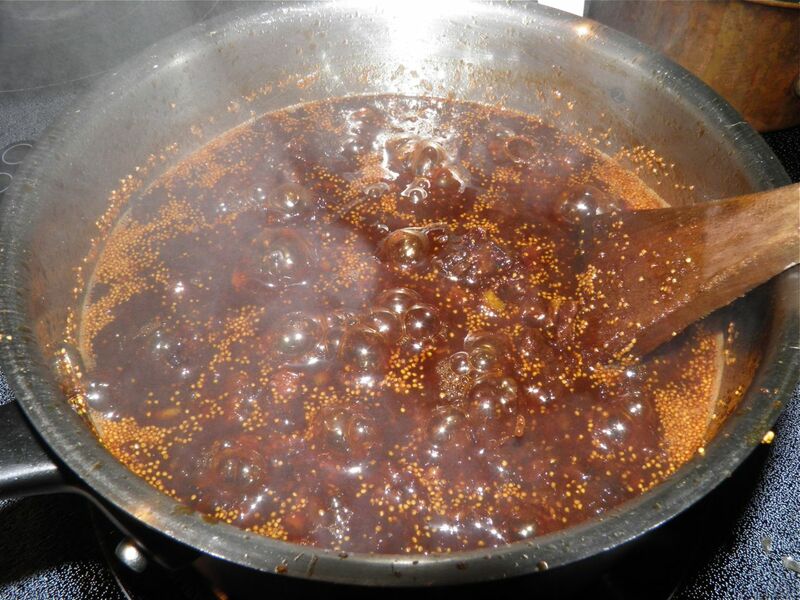 Usually only fruits high in pectin and natural sugars are used for preserve recipes, since other fruits are harder to make gel. Figs are a low pectin fruit. 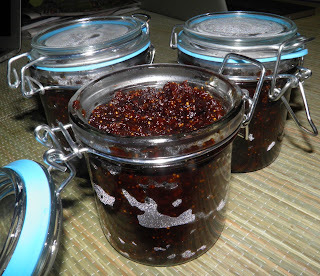 For jam they are usually combined with a high pectin fruit, like apple. It doesn’t mean you can’t make a preserve from them alone. Just don’t expect it to be jellied like your strawberry jam. 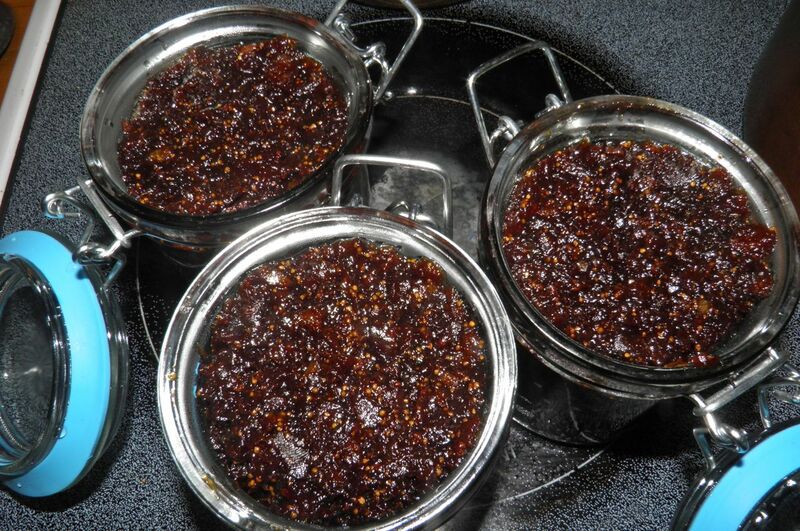 This is more of a "cooked spread.” As such it won't have the shelf life of a jam or jelly, and needs to be refrigerated. The Mission fig (Black Mission or Franciscana) is a very common variety of fig (Ficus carica). It was first introduced to North America in 1768 when Franciscan missionaries planted trees in San Diego, California. Mission figs are the purple and green ones we see fresh in grocery stores here in Nova Scotia. When dried, they become very dark—essentially black. In that form they are available year-round. I purchased mine at the Bulk Barn. Mission figs are sugary-sticky, sweet and contain plenty of fibre. They are widely considered one of the highest-quality fruits grown in the United States. This recipe will make some of those on my Holiday gift list happy. I still have to get around to making pâté to go with it, and finally baguettes. But the bread will have to wait until the 23rd or 24th. And let cook until basically dry. But stir so it won't stick. 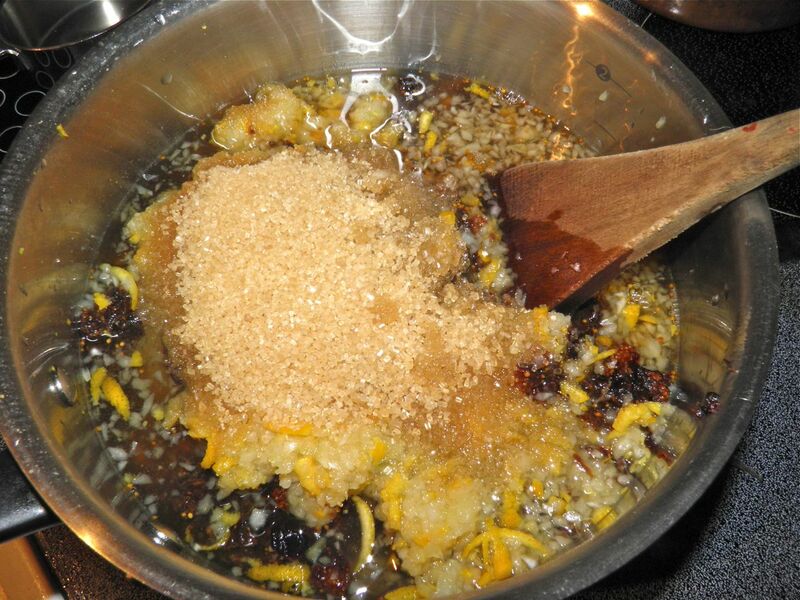 I’m going to try to make “faux gras” tomorrow night (recipe from Gourmet's Diary of a Foodie). So come back in a day or two to find out how to do it. I’m getting closer all the time to finishing my list! Before I forget I should tell you the best place to get “cage top” jars. It’s the Dollar Store. Yup. Just make sure you check the seal to ensure it closes tightly. You can’t beat the price ($1 to $1.50), and they look really great containing your homemade gifts. Cut the stems off the figs and place in a food processor. 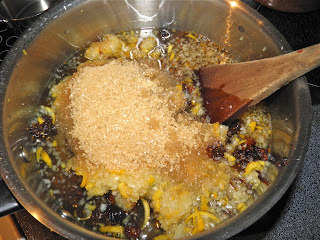 Add the onion and orange rind to the figs and process until fairly small. Combine in a saucepan with the remaining ingredients. Bring to a boil, reduce the heat to medium high and cook until almost dry. This will take about 1/2 hour. Stir often while it cooks, breaking up any larger pieces of fig with the spatula as it cooks. Let cool slightly and then pack in clean, sterilized jars. Let the preserve finish cooling on the counter and then refrigerate.